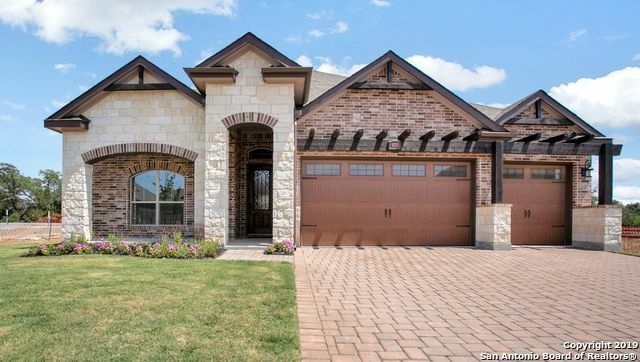 All San Marcos homes currently listed for sale in San Marcos as of 04/23/2019 are shown below. You can change the search criteria at any time by pressing the 'Change Search' button below. 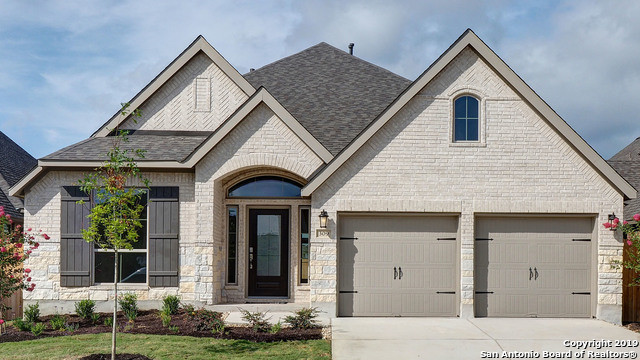 If you have any questions or you would like more information about any San Marcos homes for sale or other San Marcos real estate, please contact us and one of our knowledgeable San Marcos REALTORS® would be pleased to assist you. 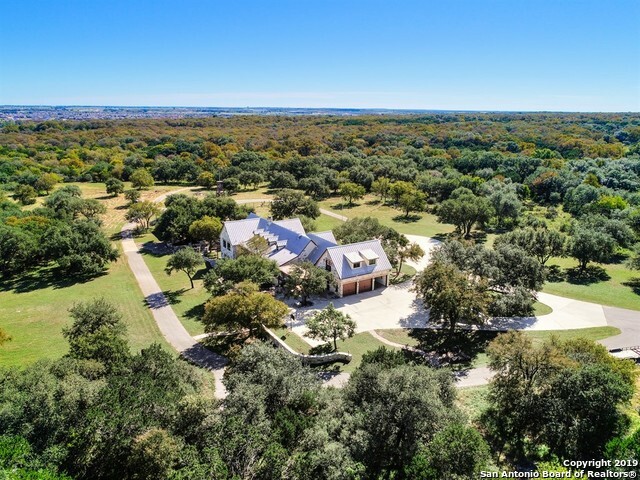 "Private, luxury ranch on 28.9 acres. Perfect for private getaway, horse & cattle or wedding venue. 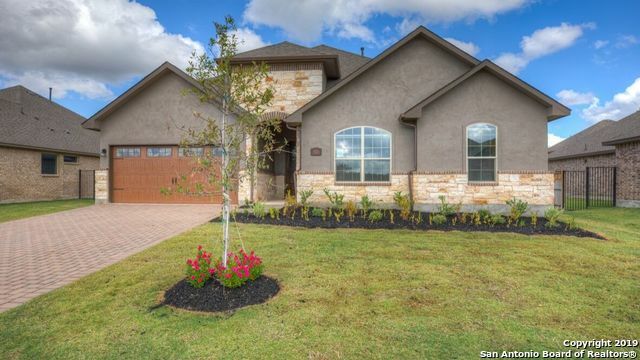 Only minutes from Downtown San Marcos and Texas State University. 5 bed / 6 bath. Hickory wood floors and dramatic fireplace with 17' ceilings on main level. Open concept. Chef's kitchen. Flex or media room on bottom level. Workman's shop. Screened in porch. Large covered patio for entertaining. Detached barn with self-generating electricity through wind and solar. Additional apartment or mother-in"
"Within Minutes of I35. You arrive at 14+/- acres of mature trees, beautiful brick home with spectacular sunrise/sunset views w/a constant breeze. All of this along with a 6 stall horse barn, tack room overlooking a pond. Home features remodeled kitchen with custom cabinets, updated bathrooms, plantation shutters and all new windows. 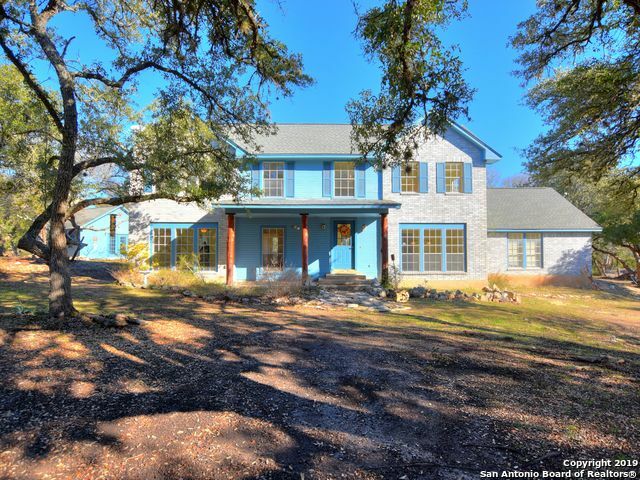 Office off of the entry with built-ins and a spacious bonus room upstairs and Roof replaced in 2016"
"Nestled in a private forest setting on .8 acre, this remarkable home consists of four bedrooms (fifth bedroom possible!) and three and a half baths. Highlights of the 4,480 sq. ft home include an open living room with floor to ceiling windows, formal dining with Cantera Columns, large kitchen with curved bar and extensive custom cabinets and eating area, screened in porch, study and a master bedroom with private balcony. 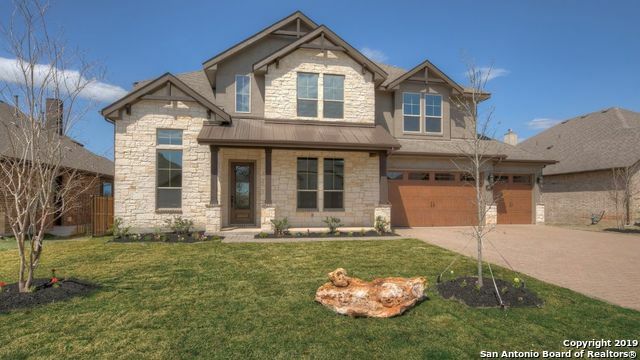 Upstairs includes three bedrooms, two baths, den with balcony, and flex roo"
"Experience a breathtaking hill country view from your private patio and upstairs covered balcony in this new construction 2 story plan that features 4 bedrooms, study, 3 baths, 2 powder baths, 3 car garage, and a spacious game room. 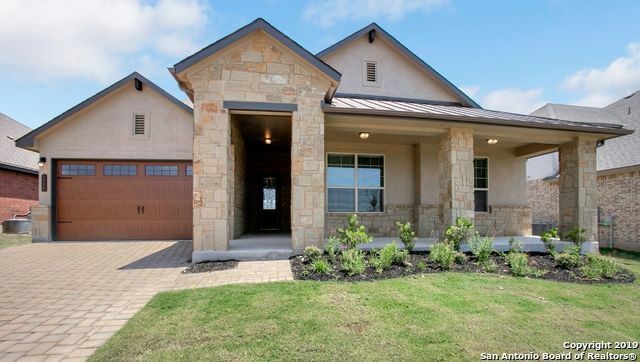 Newly constructed in Vista De Los Santos, a premier community in San Marcos with an unbeatable location." "This large custom built home has quality construction throughout and features four spacious bedrooms, three baths and an optional study or second dining. 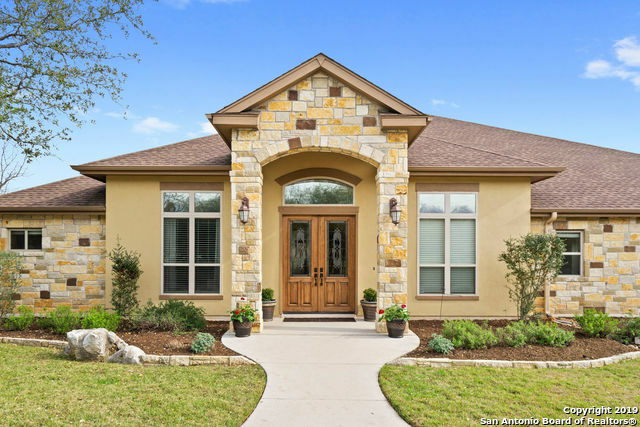 Upgraded treatments include soaring ceilings, crown molding, a Texas-sized open concept family room that adjoins a dining and gourmet kitchen featuring beautiful cabinetry, quartz island counter tops and serving bar. The split bedroom arrangements offers privacy to the master suite and huge master bath. A large utility room - also with beautifu"
"Fall in love with this stunning property in Rainbow Ranch! Situated on 10 beautifully wooded acres, this 2,386 square foot 5 bedroom 2.5 bath home offers all of the peach and privacy you desire. With an open floor plan, vaulted ceilings, multiple dining areas, bonus room and a fireplace, this home has it all! Detached utility/workshop in the backyard could be used in so many different ways. 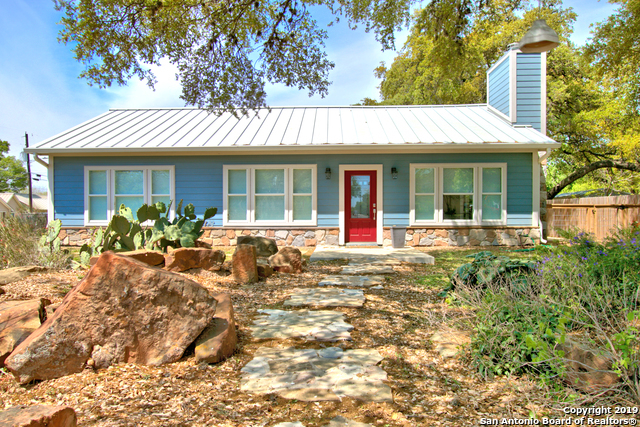 Fantastic Hill Country location convenient to Wimberley Square, San Marcos, Dripping Springs & Austin." 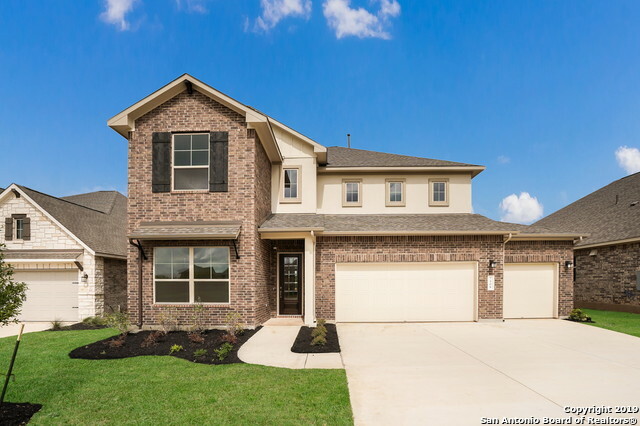 "Spacious 2,273 one story floor plan including 2 bedrooms, French door study with closet, 2.5 baths, and 3 car garage. 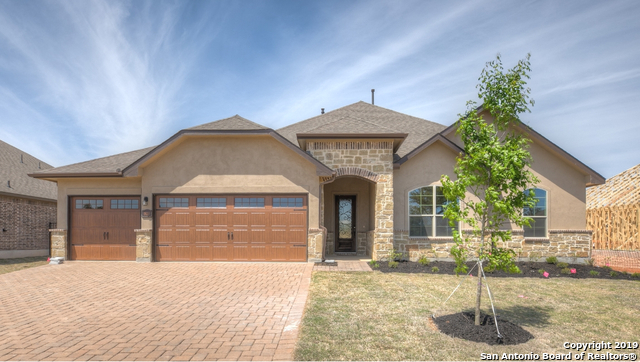 Conveniently located in Vista De Los Santos, a premier new home location in San Marcos. Features include: Granite island kitchen, spacious pantry, private bathroom at bedroom 2, large picture windows at the family room and master bedroom, his and her walk-in closets with custom closet system, tankless water heating, water softener preplumb, frameless glass shower, & his and her"
"4 bedrooms, 2.5 baths, 3 car garage. built-in stainless kitchen, extra large granite island with pendant lighting transitioning into the spacious family room with gas fireplace. fully insulated 3 car garage, utility room connected to a large master closet, under cabinet lighting, 8' iron/glass front door, reverse osmosis at kitchen,tankless natural gas water heating, window treatments, water softener pre-plumb,silestone countertops, framed bath mirrors, brick paved driveway/sidewalk, and 4 side "
"Serenity, Privacy, and Luxury are 3 things you will find around every corner of this Hill Country Home located in the highly sought after Greater Willow Creek Area. 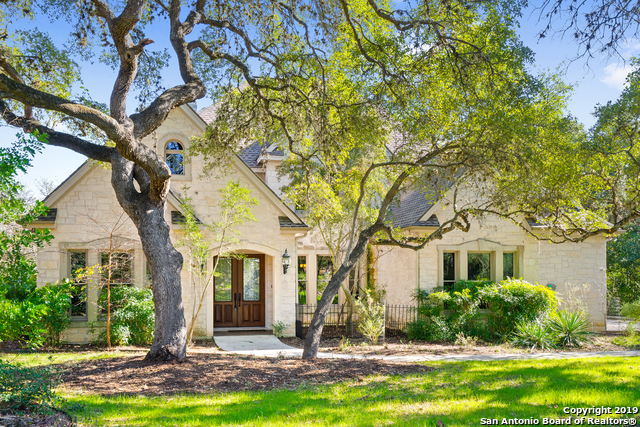 This 2.28 acre haven boasts a sprawling front yard shaded by mature oak trees gently sloping towards a covered entrance. 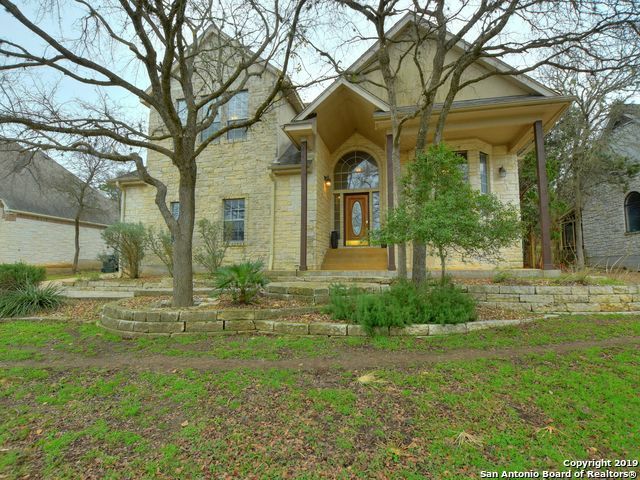 The open foyer leads past formal dining, kitchen, and breakfast area, into the cozy living room and sun-room with 16 windows overlooking 900 square feet of wood deck & covered porch with breathtaking hill country v"
"single story with 2,181 sq. ft., 3 bedrooms, glass French door study, 2.5 bathrooms, 3 car garage.eaturing 10'-12' high ceilings with coffer details, double-step crown molding, wood flooring, a spacious granite island kitchen, built-in stainless steel Electrolux appliances with separate gas cooktop, tankless water heating, water softener preplumb, frameless glass shower, custom built-in master closet system, wrought iron fence returns, brick paved driveway & sidewalk, 75'x125' home site." 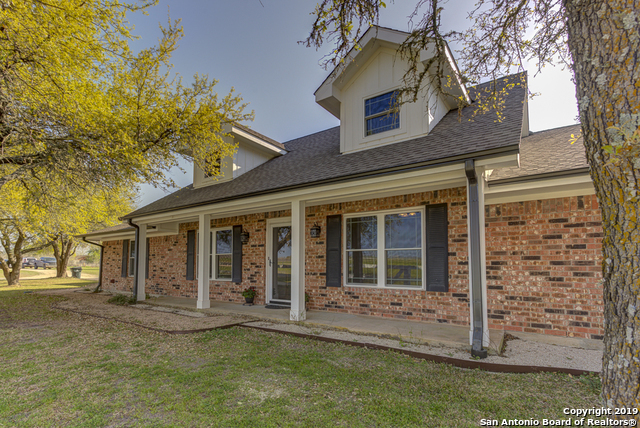 "3 beds 2.5 baths, PLUS study room! Has lots of nice living space inside AND out! Formal living/dining. Kitchen is open to 2nd living area w/FP & looks out the a BEAUTIFUL BACKYARD and KEITH ZARRS POOL w/hot tub and waterfall. In addition, there are 2 covered areas of back of home for additional sitting and/or dining areas. The Master bedroom is on main level and features Double Vanity, garden tub and separate shower, PLUS walk-in closet. 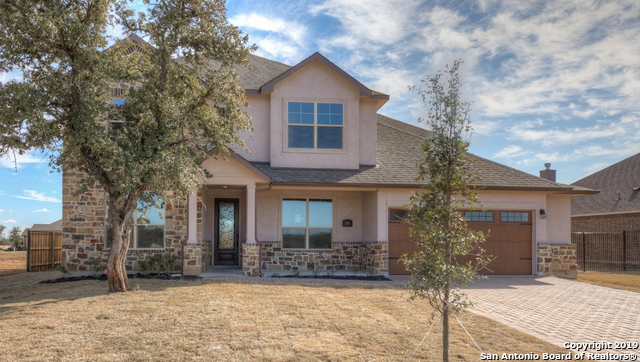 Upstairs are 2 bedrooms, 2nd bath and large open study, w/"
"Fantastic 5 bedroom/4 full bath home newly constructed in Vista De Los Santos, a premier community just minutes from downtown San Marcos. Featuring high ceilings, 5' garage storage extension, Barcelona gas fireplace, first floor master suite and secondary bedroom with full bath access, granite countertops, stainless built-in kitchen package with separate gas cooktop, wood laminate flooring downstairs, full sod & irrigation system, brick paved driveway/sidewalk, 75'x120' home site, and 4 sides m"
"A MUST SEE BEFORE IT'S GONE!! This one of a kind, beautifully built house is not something you see every day. Enter through the elegantly carved door with decorative glass insert into the formal living room with stone fireplace, wet bar and dining room with built in china cabinet. Check out the kitchen with double built in ovens, custom cabinets and windows overlooking the covered back deck. Master Suite upstairs with private covered deck . 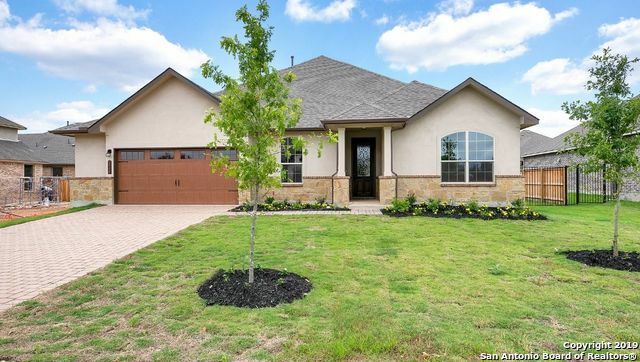 Master bath with walk in shower, 2 closets and double"
"Single story home with 2,181 sq. 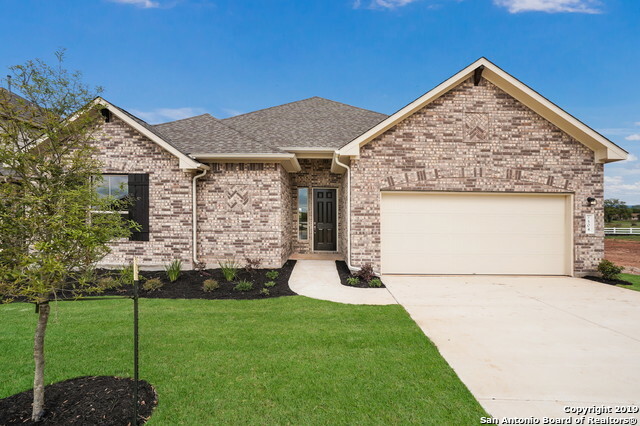 ft. has 3 bedrooms, French door study, 2.5 baths, 2 car garage with 10' x 20' workshop. Featuring high ceilings with coffer details, wood flooring, a large granite island kitchen, built-in Electrolux appliances with gas cooking, tankless water heating, frameless glass shower, California-style master closet, full irrigation system, wrought iron fencing, brick paved driveway/sidewalk, 75'x125' home site, and 4 sides masonry." "4 bedrooms, 2.5 baths, 2 car garage plus 5' storage extension. Includes a built-in stainless kitchen with large granite island, pendant lighting, pot filler above the cooktop, and under-cabinet lighting. Enjoy the covered patio ready for an outdoor kitchen, Barcelona gas fireplace, utility room connected to a spacious master closet, separate shower with mudset pebble floor, deck mounted bathtub faucet, vanity pendant lighting at master bath, tankless water heater, water softner preplumb and so m"
"Enjoy the spacious covered patio with natural gas connection, oversized 24' deep garage, and beautiful granite island kitchen. Includes 8' doors throughout, master shower with mudset pebble tile flooring, drop-in garden tub with deck mounted faucet, iron/glass 8' front entry door, 42 upper kitchen cabinets, elegant cabinet hardware, granite countertops at both bathrooms with undermount sinks, built-in stainless steel kitchen appliances, gas cooking, gas water heating, plumbing for a future water"
"open floor plan with 4 bedrooms, 2.5 baths, 3 car garage. Includes a built-in stainless kitchen with large granite island and pendant lights transitioning into the spacious family room. Enjoy the covered patio ready for an outdoor kitchen, a utility room connected to a large master closet, separate shower with mudset pebble floor, under cabinet lighting, tankless water heating, 8' tall iron/glass front water softener preplumb, fully insulated garage, brick paved driveway/sidewalk, and 4 sides "
"bedrooms, study, 3 full baths, 2 car garage with 5' storage extension, and is newly constructed in Vista de Los Santos, a premier location in San Marcos. Includes a built-in stainless steel kitchen featuring a large granite island transitioning into the spacious family room space. Includes a covered patio ready for an outdoor kitchen, separate garden tub with deck mounted faucet, mudset pebble floor master shower with seat, water softener preplumb, tankless gas water heater, double master van"
"2400 acres of The Hill Country living could be your reality when you live in La Cima, with this 4 bedroom 3.5 bath WITH a game room AND a 3 CAR GARAGE! The souring ceilings of the family room will have you in awe and wanting to have many gatherings with friends or family. You can cozy up on the couch enjoy and overlook the HUGE covered patio and the private back yard! 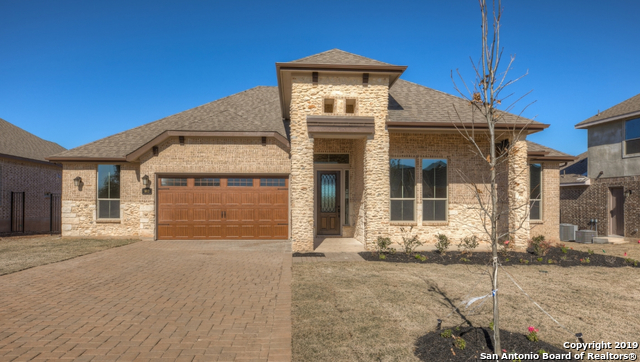 Come see how this OPEN floor plan is easily one Scott Felder's most popular floor plan! Available now!" "Immaculate residence in the heart of San Marcos near the university campus. 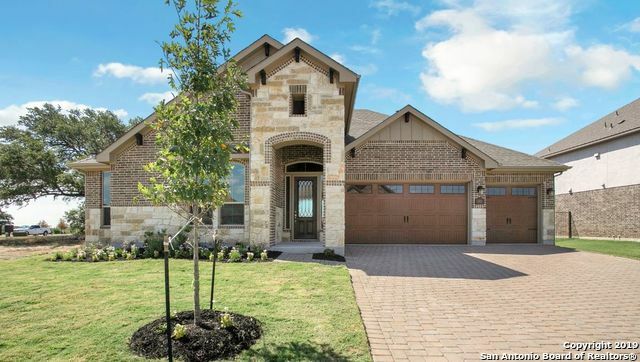 This beautiful residence offers innate charm and great style and features a versatile floor plan with high ceilings, spacious living area, stone fireplace, custom built-ins and storage, exquisite kitchen with island, custom cabinets, walk-in pantry, and stunning master suite with attached study. 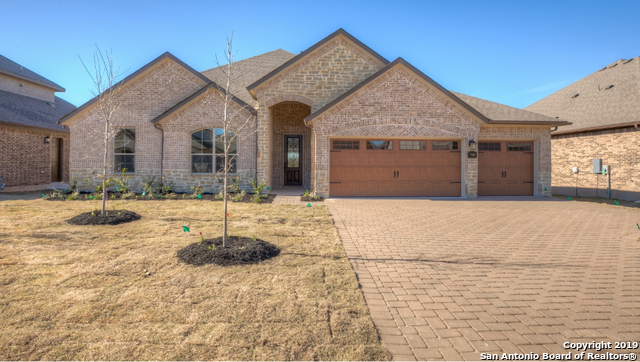 Located on a corner lot, the outdoor space offers easy care landscaping with mature trees, additional parking, storage area, an"
"Must see open floor plan and newly constructed home on a level 75'x125' home site in Vista De Los Santos, a premier community in San Marcos. 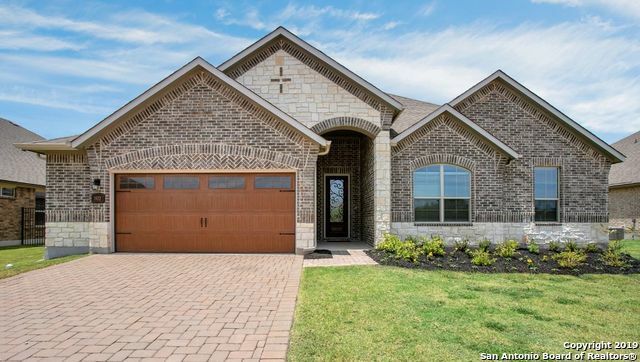 Enjoy the spacious covered patio, oversized 24' garage, granite island kitchen. Includes 8' doors, mudset shower with pebble tile flooring, drop-in garden tub, iron/glass 8' front entry door, 42 upper cabinets, elegant cabinet hardware, granite bath countertop with undermount sinks, built-in stainless steel kitchen appliances, gas cooking, and gas water He"
"Stately 3/2 in Willow Creek - this house has TONS of outdoor room and space to entertain! Large lot is fully fenced with a wrought iron fence (w/ power opener). Mature oaks, vaulted ceilings, skylight, sun room and hot tub are favorite features of this house. Spacious master w/ a beautiful ensuite bath (HUGE walk-in), large family room and kitchen with vaulted ceilings everywhere! Rainwater collection for irrigation, nat'l gas & septic on-site. 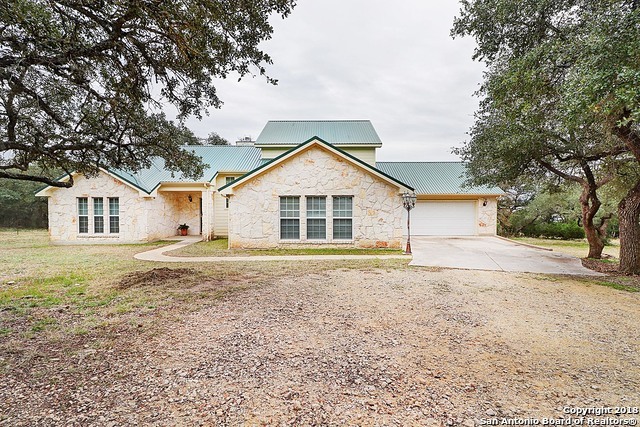 Garage + detached carport + a HUGE storage shed in "
"2400 acres of The Hill Country living could be your reality when you live in La Cima, with this 4 bedroom 3 bath ONE STORY with a 2.5 car garage! You have to see the garage/mud room set up!! The open kitchen to family room will have you wanting to have many gatherings with friends or family. You can cozy up on the couch enjoy and overlook the HUGE covered patio and the private back yard! Come see how this ONE story design is easily one of Scott Felder's favorites! Available now!" "PERRY HOMES NEW CONSTRUCTION-Library with French doors set at extended entry with coffered ceiling. Dining room flows between open kitchen and family room with wall of windows. Ceramic tile floors throughout. Kitchen hosts large island with built-in seating space. Master suite includes bedroom with wall of windows. Dual vanities, corner garden tub, separate glass-enclosed shower and two walk-in closets in master bath. Guest suite. Extended covered backyard patio. Construction stage on day of ent"